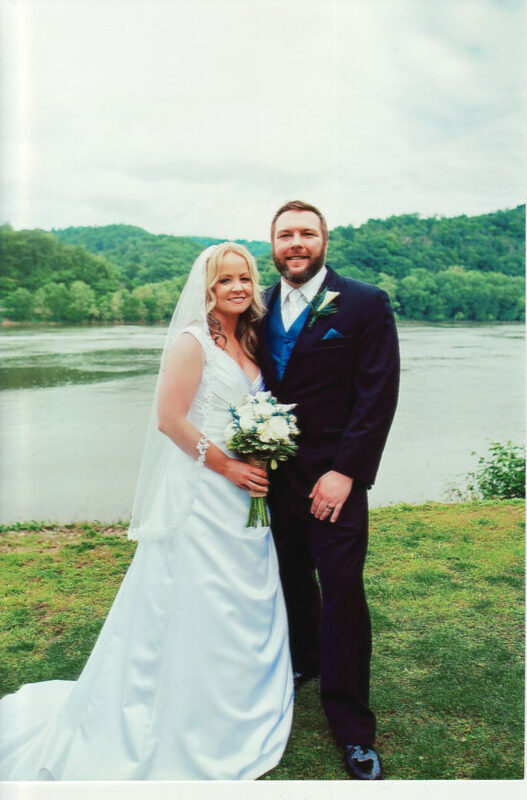 TORONTO — Christine Saner and Nicholas Staley were united in marriage May 27 on the banks of the Ohio River at the bride’s parents’ home in Toronto. Pastor Jim Kulma officiated the ceremony, and the reception followed at Bethany College. The bride is the daughter of James and Gail Saner. 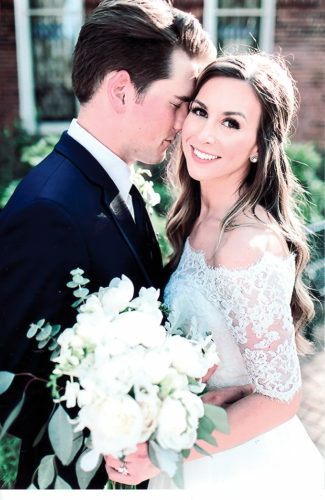 The groom is the son of Robert and Laura Staley of Strongsville, Ohio. 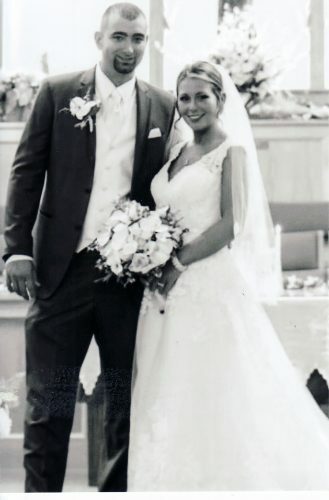 The bride wore a white satin gown with her veil trimmed in lace. She carried a bouquet of white calla lilies and white roses. 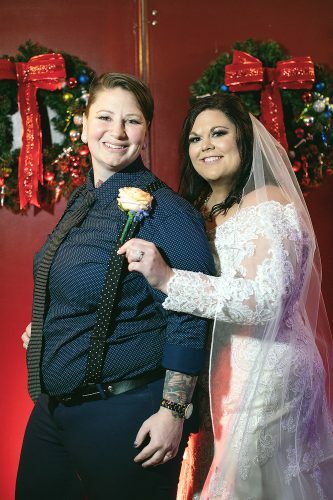 Bridal attendants were Ashley Holt, maid of honor, and Tracy Macedonia, Laurie Sutherin and Lauren Clegg. Groomsmen were Chris Holloway, best man, and Brian Wilson, Brian Saner and Stephen Saner. The flower girl was Riley Saner, and the ring bearer was Luca Macedonia. 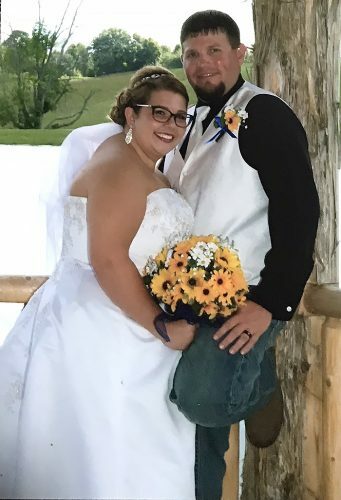 The bride is a graduate of Ohio University and is employed at Cuyahoga County Board of Developmental Disabilities as a support administrator. 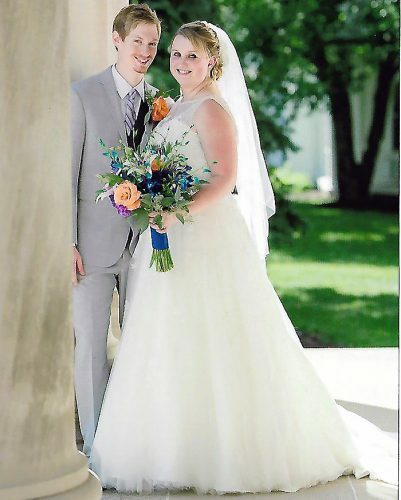 The groom is a graduate of Ohio University and is employed at American Greetings as an accounting supervisor. The couple reside in North Olmstead, Ohio.